Paris Officers responded to an assist EMS call at a residence in the 400-block of Graham Sunday morning around 11:00. Jason Ellis, 29, of Paris, was arrested after assaulting a relative during an argument. The disagreement was over who was going to add a log to the fireplace. After arrival at the city jail, officers discovered that Ellis had previous convictions of assault involving family violence which enhanced the charge to a felony. Friday morning, several residents in the residential area of Wood Hollow, Fair Oaks, and Silver Leaf found that their vehicles had been ransacked with items stolen during the night. A total of five unlocked vehicles were entered. Two handguns were reported stolen along with other things. The department would like to encourage citizens to avoid leaving firearms in their transportation and make sure it is locked. 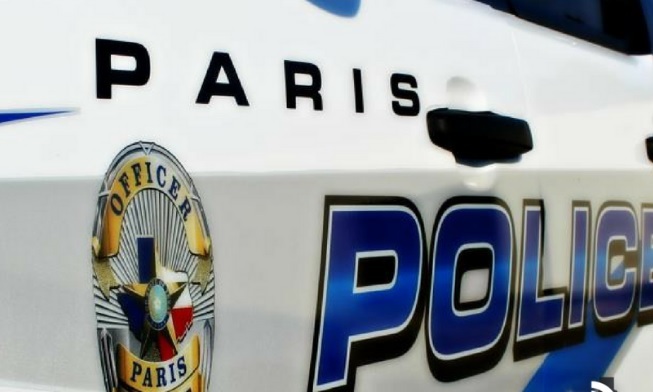 Since these break-ins are nearby, Paris Police is asking for any resident in this area who might have security cameras to check for anything unusual during the evening of Thursday (Nov 15) until the morning of Friday (Nov 16). Around 10:00 Sunday morning, officers were dispatched to Bath and Body works regarding a disturbance. Reportedly, a store employee had been assaulted. Officers identified the suspect who is currently living in the DFW area. The victim reported having issues with the suspect before the attack. The victim suffered bruising and declined medical assistance at the time. A video that appears to film the suspect walking to the store and making the unprovoked attack was posted to social media. The person who is alleged to own the video has been identified as well. There was damage to the store furnishings and merchandise during the assault. The investigation is continuing. Officers responded to 239 Calls for service and made eight arrests, seven of those for misdemeanors, one for a felony assault.